The Safer Neighbourhood Team which covers Huncote consists of Sgt Dean Lewis (1967), PC Kal Uppal (4432), PC Sonja Freeston (4451), PC Nick Ward (1716) and Police Community Support Officers Alex Joule (6075) and Katie Hudson (6124). 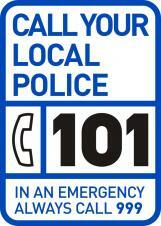 The linked site will also allow you to directly email any of the Officers in the Fosse Villages area. In an emergency - for example when life is in danger or a crime is being committed, To report a serious crime or if someone is in immediate danger. 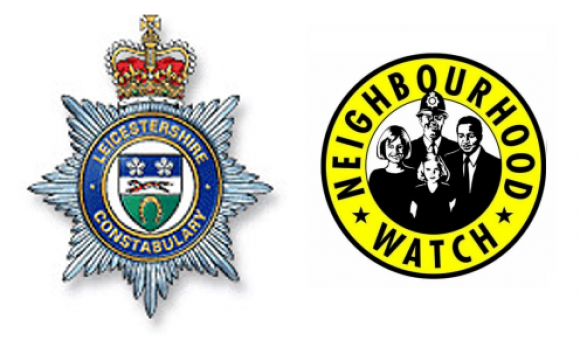 In a non emergency - for example not requiring police attendance - or to report a non-urgent crime, we have one telephone number for the whole of Leicester, Leicestershire and Rutland. If you are calling from outside Leicester, Leicestershire or Rutland, please continue to call 0116 222 2222. For text message access for deaf, hard of hearing or speech impaired people contact 07624 818 901. Click here for more information. If you are a victim of anti social behaviour contact the Blaby District Community Safety team on 0116 272 7677 or e-mail: community.safety@blaby.gov.uk.